The class of 2018 take to the stage at the Day of Champions! 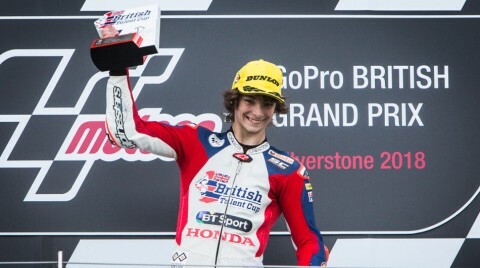 The British Talent Cup Selection Event to choose the candidates for next season has now concluded at Silverstone. After inscriptions on Tuesday and a day of track action to assess the new crop of hopefuls on Wednesday, 12 names were decided upon by the committee and they’re now in with a chance at joining the grid next season. The Selection Event went smoothly under cloudy but dry skies at the Stowe Circuit at Silverstone, with more than fifty prospective candidates put through their paces on track. The BTC committee, led by Talent Promotion Director Alberto Puig and Special Advisor Shuhei Nakamoto, then gathered to make their final decision on the riders who will be candidates for a place on the grid in 2019. Thereafter the 12 chosen riders were announced, bringing the Selection Event to a close for this season. After the final races of 2018 in Valencia alongside MotoGP™ in November, the final list of those who will compete in the 2019 British Talent Cup will be decided – with some names returning from 2018, and the 12 new hopefuls from the Selection Event also candidates for a place. 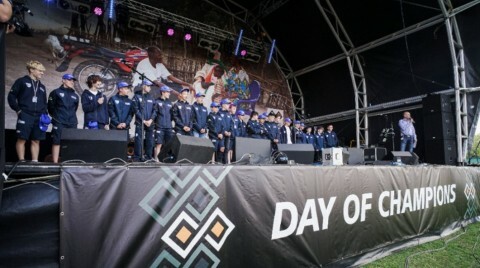 On Thursday the candidates will now join some 2018 BTC riders at the Day of Champions in aid of the official charity of MotoGP™, Two Wheels for Life, before Round 4 of the British Talent Cup lights up Silverstone this weekend. Race 1 is on Saturday at 16:30 (GMT +1), with Race 2 underway at 16:00 on Sunday. Alberto Puig: "We changed the policy a bit for this year, the kids are a bit younger. It’s always difficult but we were lucky with the time, we had good weather and they did what they could. It’s never easy but we have a group of candidates for next year who are quite young, but they have potential. "The decision taken should always be the best but that’s theoretically and it’s not always like this. But we had a lot of people here analysing the situation, we have a lot of data and we think these were the best candidates we could choose. "At the moment we don’t know if we are going to add new guys to the Cup because we’re still running the Championship and we have to see what happens by Valencia. But in case we need them we will inform them and of course, they’ll have to train. Many of them are doing Championships here in England, and they have to keep training and keep fit – in case the opportunity appears.